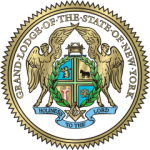 The Grand Lodge of New York is proud of its Masonic Hall, which houses our Grand Lodge offices in New York City, the Masonic Medical Research Institute, Acacia Village and Masonic Home in Utica; the Chancellor Robert R. Livingston Library and Museum in New York and Utica; the Masonic Youth Camp at Camp Turk in Woodgate; the DeWint House at Tappan and its many charitable activities of its annual Brotherhood Fund Drive. As early as the mid 1730’s Freemasonry was present in the American colony of New York. Daniel Coxe was appointed by the Duke of Norfolk as Provincial Grand Master for the provinces of New York, New Jersey and Pennsylvania. As no authenticated records exist of his tenure as Provincial Grand Master it seems doubtful that he exercised any authority in Masonic endeavors. The last of the Provincial Grand Masters was Sir John Johnson who assumed office in 1771. 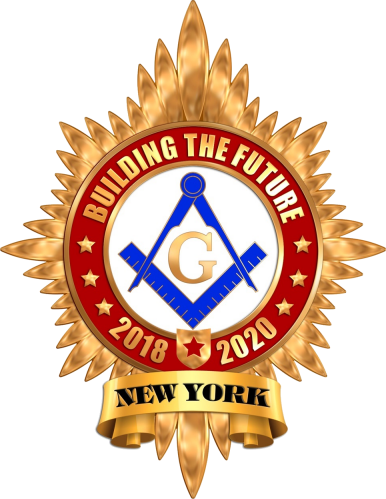 The new Grand Lodge of New York elected Reverend William Walter as the first Grand Master. He served for almost three years. In 1784 Robert R Livingston was appointed Grand Master and was elected to the office for the next sixteen years. He presided at the swearing in ceremony of the only President of the United States to take the oath of office in New York City. The Bible (published in 1767) that was used at the swearing in ceremony of Brother George Washington as the first President of the United States, is owned by St. John’s Lodge No. 1 and is still in use today at the swearing in of the Grand Master and, by request, at the swearing in of the President of the United States. 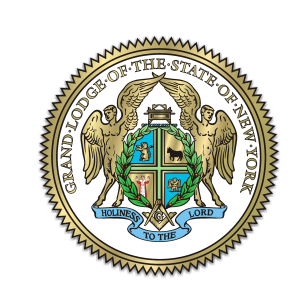 In the year history of the Grand Lodge of New York there have been 65 Grand Masters. 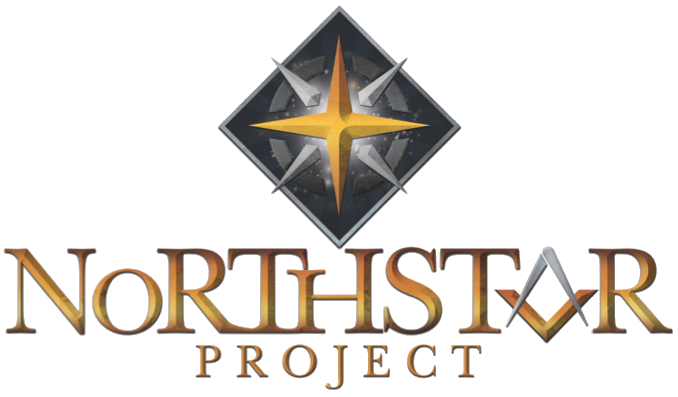 Each has contributed to the welfare of both Masons and people of the State of New York and the United States of America through their service as Governors, Senators, Representatives, Judges, Doctors, Lawyers, Teachers and everyday people through their many philanthropic endeavors.